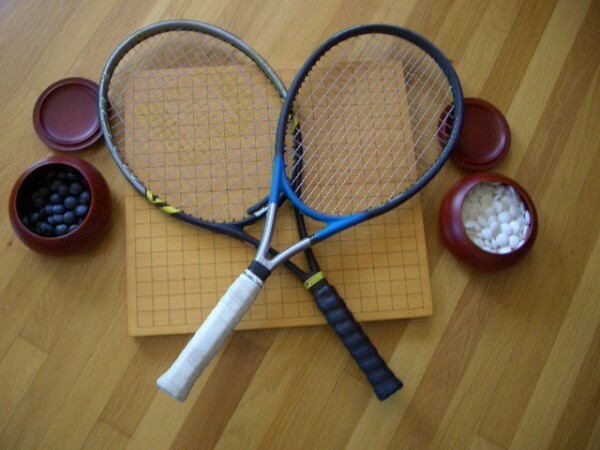 Fitness can be key to both mental and physical endurance on the go board, which is why many attendees at the annual US Go Congress pull themselves away from the go board for a few hours each day to play soccer or tennis. “Bring your cleats and shorts,” Terry Benson urges soccer players, while former tennis club organizer Lisa Schrag says “Bring your racquet!” Benson is organizing soccer games every afternoon at 4:30 except for Saturday and Wednesday, while Schrag and Chris Garlock will be organizing round robin doubles in the afternoons. “All ages come and play,” says Benson. “Let your body loose and your mind run free!” Listen to morning announcements and watch for signs posted at the main players room to get the details once you arrive.